We’d love your help. Let us know what’s wrong with this preview of Barbra Streisand by Alma H. Bond. Barbra Streisand has been a show business staple for decades, from Funny Girl and Hello, Dolly! to The Way We Were and, more recently, the Fockers franchise. Whether gracing a stage, screen, or album cover, Barbra's iconic silhouette is a globally-familiar image. We know Barbra the star, but how well do we know Barbra the woman? In Dr. Alma H. Bond's latest installment of Barbra Streisand has been a show business staple for decades, from Funny Girl and Hello, Dolly! to The Way We Were and, more recently, the Fockers franchise. Whether gracing a stage, screen, or album cover, Barbra's iconic silhouette is a globally-familiar image. We know Barbra the star, but how well do we know Barbra the woman? To ask other readers questions about Barbra Streisand, please sign up. I grew up watching Barbara Steisand films on television. For a long time, we only had one TV in our house and my parents controlled it so we watched what they wanted to watch. It didn’t matter how many times we saw ‘Funny Girl’, we saw it every time it was on. I did get tired of ‘Funny Girl’ due to the number of times we saw it but I did like Barbra Streisand’s acting. My uncle was the first in our family to get a cassette player in his car. He was better off than my parents, financially. I I grew up watching Barbara Steisand films on television. For a long time, we only had one TV in our house and my parents controlled it so we watched what they wanted to watch. It didn’t matter how many times we saw ‘Funny Girl’, we saw it every time it was on. I did get tired of ‘Funny Girl’ due to the number of times we saw it but I did like Barbra Streisand’s acting. My uncle was the first in our family to get a cassette player in his car. He was better off than my parents, financially. I remember riding in his car and listening to Streisand sing. He played her over and over. I thought she was good but preferred the Beatles, of course. Over the years I have kept up on Barbara Streisand as an actress. I remember Googling her when the internet started. I was curious about her real life. I didn’t find out much except that her father died when she was just a girl. I thought that must have affected her entire life. How could it not? Then I found out about ‘Barbra Streisand: on the Couch’ by Alma H. Bond, Ph.D. and knew I had to read it. It is a work of fiction but does give much more of a glimpse into Streisand. I could tell from reading it that Ms. Bond did through research on her subject. She crafted a well written fictional account that is hard to put down. She handled her subject with respect and dignity. She did not stoop to sensationalism as many have. This book is a work of fiction, although it is based in parts, on actual information. It is not necessarily accurate. I actually thought when I got the book it was not fiction and that Dr. Alma Bond, Ph.D. was her psychoanalyst. I was mistaken. It is fiction and Dr. Bond was the author. She wrote this because she admired Streisand from a distance, like many others Most of us know Barbra Streisand as the performer. Few probably know the person. Often times what appears on the outside is far from what is on the inside. You put up walls to keep the utmost feelings, hurts, pain and unhappiness inside to prevent it from showing on the outside. This results in extreme unhappiness and so much pain. Barbra Streisand, an icon, a star, but what about the woman herself. Take away all the glitz, the glamour, the tough skin, the armor and what was she really like? She had gone through a terrible loss as a little girl and like some, she never got over it. After years of unsuccessful therapy, Barbra turns to Dr. Dale, a well known psychiatrist in hopes of finding some peace. It took a while, but Dr. Dale started to break down the walls and get to the root causes of Barbra's unhappiness. Often times we only see the "star", we don't see the person. As this book was coming out, Ms. Streisand was having her own memoir published so if you feel this is a book you'd like to read, I would suggest reading Ms. Streisand's memoir also. Ms. Alma Bond has written several books in the 'On The Couch Series", along with 20 other books. The author lets the reader in on some facts of Ms. Streisand's life. You may go through a series of emotions anywhere from smiling, laughter, sadness and tears. We all love the "stars". SO if you are a Barbra Streisand follower and fan or even, not, this is an interesting fictional read, with chronological couch sessions with her doctor, Dr. Dale. This is not only about Ms. Streisand the performer, but Ms. Streisand, the person, the woman, the human being. At the back of the book is a list of articles where some of the information came from along with books and a Yiddish Glossary. Quite interesting. I have to admit, going into this book I was skeptical. It is nonfiction and Alma Bond is not actually Barbra Streisand's psychoanalyst (assuming Streisand even has a psychoanalyst. I'm sure she does. Everyone in Hollywood does.) But only about two pages in I was howling with laughter. Bond's portrayal of Streisand was pitch perfect, New York accent and all. She was so funny and outgoing, exactly like Streisand is in real life. Bond also wrote herself as being the psychoanalyst for other famous f I have to admit, going into this book I was skeptical. It is nonfiction and Alma Bond is not actually Barbra Streisand's psychoanalyst (assuming Streisand even has a psychoanalyst. I'm sure she does. Everyone in Hollywood does.) But only about two pages in I was howling with laughter. Bond also wrote herself as being the psychoanalyst for other famous female celebrities, such as Marilyn Monroe and Jackie Kennedy. These visits are covered in other books in the series, but they are referenced in this one. Streisand mentions that she sought out Dr. Bond because she had heard that she had been Monroe's therapist--and that she nearly kept her alive. Bond reveals in a appendix at the end of the book that she developed the character of Barbra by watching interviews and reading her biography as well as doing other research. Apart from that, Bond's knowledge of psychotherapy was actually fascinating. I learned a lot about interpreting emotions and body language. Even though I started out laughing at the book, there were times where I teared up and felt touched by what Barbra's character was revealing. In particular, what she said about her family and her childhood. The research that Bond did made her portrayal Barbra's secret pain seem so real. This book was, as I said, fantastic as well as being a quick read. I read the Ebook over the weekend during a long power outage and the laughs it gave me definitely warmed me up. I recommend this to anyone, whether they are a Barbra Streisand fan or not. The book was both funny and sweet. I'm definitely going to look for the other books in Bond's 'On the Couch' series today. This is an interesting book with a unique approach to biography. The book is filled to the brim with interesting facts and anecdotes about Streisand’s personal life and successful career. 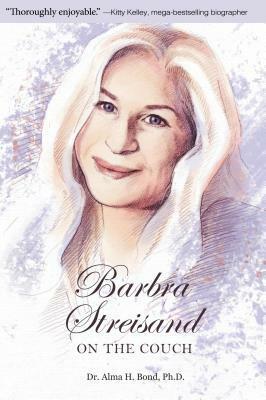 The premise that sets the biography apart is that it is written as a series of sessions between Streisand and a fictional psychoanalyst, Darcy Dale. The format through which Streisand’s story is told unwinds as a series of notes from these conversations with her therapist. A psychoanalyst herself, author Bond’s This is an interesting book with a unique approach to biography. The book is filled to the brim with interesting facts and anecdotes about Streisand’s personal life and successful career. The premise that sets the biography apart is that it is written as a series of sessions between Streisand and a fictional psychoanalyst, Darcy Dale. The format through which Streisand’s story is told unwinds as a series of notes from these conversations with her therapist. A psychoanalyst herself, author Bond’s experience grounds the unusual framework for the book, the psychoanalytic sessions, with a realistic flow and feel. For the most part, Streisand’s story unwinds chronologically, although – as is likely in real life psychotherapy – fragments of her history are revealed and then revisited at a later date in more detail. While I’ve enjoyed Streisand’s music and many of her movies, I’ve not followed her career closely. So, I learned a lot about her life from the book – from her difficult childhood to her early career to her sustained success as a singer, actor, director, activist and philanthropist. Her many romances and three marriages also get a considerable amount of attention. I recommend this book to all of those who appreciate a good biography, especially fans of Streisand and/or strong women. I enjoyed Bond’s unconventional perspective in exploring the life of this iconic show business figure “on the couch”. The book is very good. I learned things about Barbra that I didn’t know. Things about her childhood, her school days, her start in show business, her relationships with men I was very excited to have a chance to review this book because I’ve been a fan of Barbra Streisand since I was young. I’ve seen all but a few of her movies and have listened to her music for many years. I couldn’t wait for the book to arrive and was thrilled when it did. I was even more thrilled when I saw that it was signed. I liked this book. The author wrote this book very well. I hope she continues writing books about famous people problems. I think that this book is really good, I learned a lot about Barbra Streisand. Alma H. Bond, PhD, is a psychoanalyst and the author of 20 published books. She received her Ph.D. in Developmental Psychology from Columbia University, graduated from the post-doctoral program in psychoanalysis at the Freudian Society, and was a psychoanalyst in private practice for thirty-seven years in New York City. She ”retired” to become a full-time writer, but now maintains a small practice Alma H. Bond, PhD, is a psychoanalyst and the author of 20 published books. She received her Ph.D. in Developmental Psychology from Columbia University, graduated from the post-doctoral program in psychoanalysis at the Freudian Society, and was a psychoanalyst in private practice for thirty-seven years in New York City. She ”retired” to become a full-time writer, but now maintains a small practice in addition to writing. Alma Bond launched her popular "On the Couch" series with Jackie O: On the Couch: Inside the Mind and Life of Jackie Kennedy Onassis. Her new book, MARILYN MONROE: ON THE COUCH, will be published October 30, 2013. Her nineteen other published books include: Camille Claude: A Novel; Old Age is a Terminal Illness; Who Killed Virginia Woolf: A Psychobiography; Tales of Psychology: Short Stories to Make You Wise; I Married Dr. Jekyll and Woke Up Mrs. Hyde; Is There Life After Analysis; On Becoming a Grandparent; America’s First Woman Warrior: The Story of Deborah Sampson (with Lucy Freeman); and a children’s book, The Tree That Could Fly.